In 1886, early settlers in this district built a log school on a mound on SE22-4-7 west of the Principal Meridian, in the Rural Municipality of Thompson, and referred to it as Mound School. In 1889, a frame building was erected on NE16-4-7W. 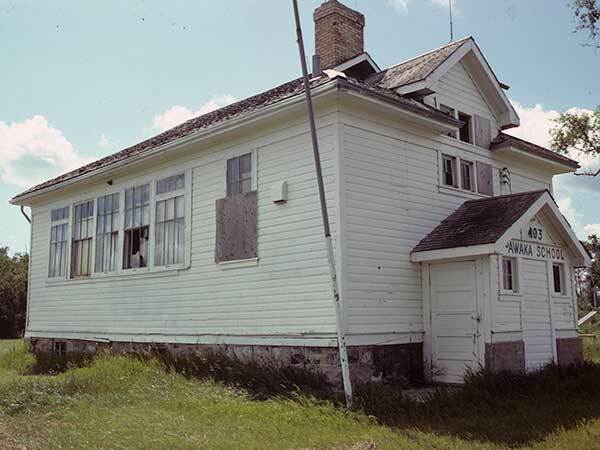 It was replaced in 1919 by a larger, more modern building and renamed Opawaka School. Students attended grades 1 to 11, the older ones studying by correspondence courses. The annual enrolment reached as high as 55 students with over 2,200 students and 44 teachers passing through Opawaka’s doors before its closure in 1959. Thereafter, students attended schools in Miami. The school building was removed in the mid-1990s and a commemorative monument was erected in its place, at a municipally-designated historic site, on 6 August 1995. Beginning in 1883, church services were first held in settlers’ homes and then in Mound School until 1909, when a frame church was built across from Mound School and called Opawaka Methodist Church. Ministers, beginning with W. R. Hughes, travelled from Thornhill, Altamont, Darlingford, and finally Miami to serve the district. In 1925, with church union, Opawaka Church became Opawaka United Church. The last services were held in 1961 after which residents attended Miami United Church. Among the teachers who worked at Opawaka School through the years were Ed Jordan, Bessie Armitage (1892), James Wilkie (1893, 1897, 1901), George Shewfelt (1895), William C. Brethour (1895), William F. Stevenson (1896), A. E. Kenner (1896), Robert C. E. Magee (1896-1897), Alice Stevenson (1901), Russell Keyes (1905), Margaret McCaffery (1905), Violet E. MacDonald (1908), Jennie Brethour (1909), William Coleman (1911), Miss Cusack (1912), Miss Pettipiece (1913), Miss McLush (1913), Jennie Wilson (1914), Anna Stephenson (1916), Myrtle Whiteford (1919), George Simpson (1919), A. D. Roberts (1920), Stewart Farr (1921), W. H. Etsell (1921), Gladys Deacon (1922), Isabella Matheson (1923), Annie Brethour (1924), Jennie Burgess (1927), Inez A. Deacon (1927), William G. Bolton (1930), Andrew D. Baillie (1933), Mabel McConnell (1937), George Headland (1938), Margaret Alexander (1941), Zella Hammond (1942), Shirley Willoughby (1943), Eve Elizabeth Crandell (1945), Elizabeth Stevenson (1947-1948), Harry Bachewich (1952), Edna Georgeson (1953), Victor Molchanko (1954), Nora Woodworth (1955), and Irma Harde (1956). GR8461, A0233, C131-1, page 42. Source: Historic Resources Branch, Public School Buildings Inventory, slide 998. 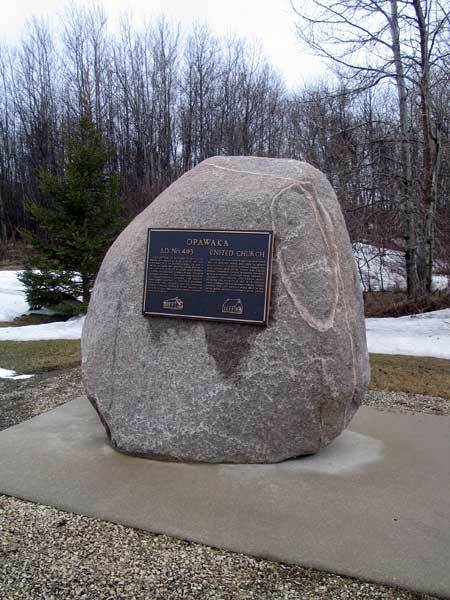 Manitoba Heritage Council Commemorative Plaques and Manitoba Community Commemorative Plaques, Fiscal Year 1995-1996, Historic Resources Branch, Manitoba Culture, Heritage and Citizenship, page 28. 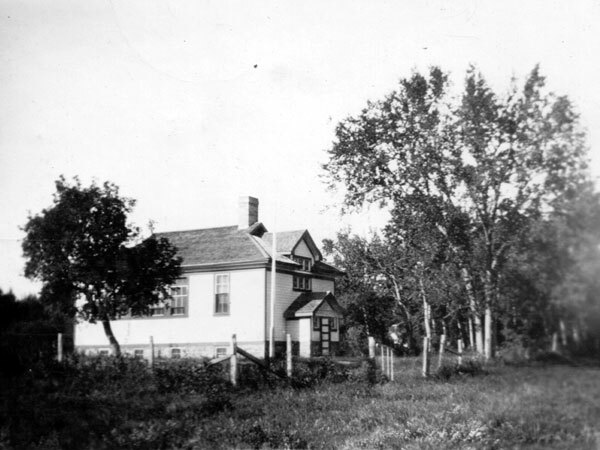 Opawaka School Site, Manitoba Historic Resources Branch.